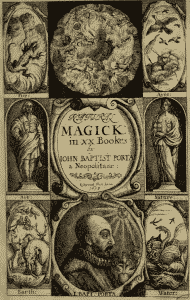 Magia Naturalis (natural magic) is the main work of the Neapolitan scholar Giambattista Della Porta, first published in 1558 in four books and then in 1586 in twenty books. It is the compilation of fantastic phenomena and beliefs he collected during his life and that he has tried to wrest from the divinatory magic by giving them a naturalistic justification or by legitimizing them by classic literary references. 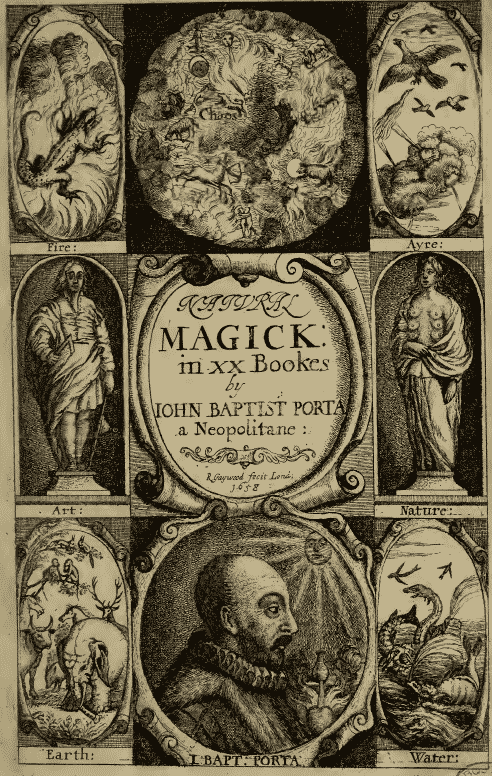 The first edition of Magia Naturalis dates from 1558 in Naples1,2 (then Antwerp in 1560), while Della Porta was only twenty-three years old. From an early age, with the help of his preceptors, he hunts for surprising, wonderful, and even miraculous facts, to review them in order to tear them away from popular superstition and put them back to their proper place within the natural philosophy. The Magia Naturalis is not a book of magic spells but merely an anthology of natural wonders written at a time when science was still in its infancy.